In just one day in early November, the University blocked 29,000 junk phone calls – with some appearing to come from legitimate University phone numbers. This deluge of spam calls was thwarted by a new phone-call-blocking application developed and managed by UW Information Technology (UW-IT) for University desk phones. And universities around the country are beginning to take notice. Spam calls are coming into the University at an unprecedented level, and they are disruptive and costly, said Steven Mack, who manages telecom operations for UW-IT. With 32,000 desktop and emergency phones and fax machines distributed across all three campuses, the University operates a telecommunications network that is equivalent to a small city like Issaquah or Wenatchee. The goal of the new technology is to block a suspicious call before the phone even rings, reducing both the disruption and the risk of someone inadvertently falling for a scam and compromising personal and/or University information. UW-IT hopes the call-blocking technology will reduce lost productivity while increasing the utility of the phone for legitimate communications. Spam calls can be a significant drain on human resources, said Mark Strand, a telecommunications design architecture manager in UW-IT. 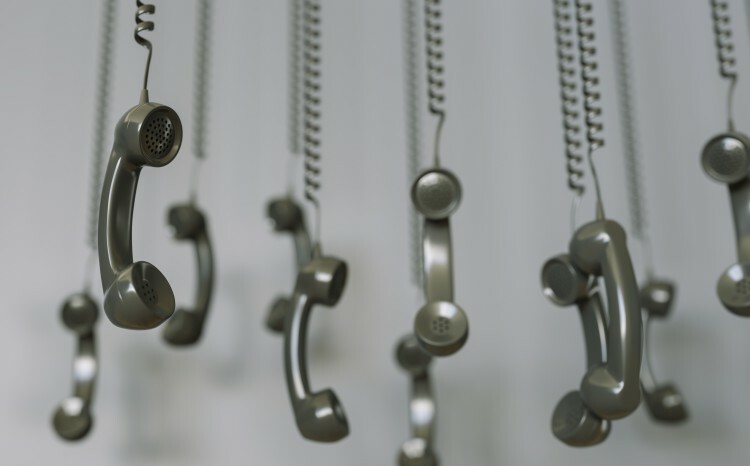 Blocking those 29,000 junk phone calls in a single day likely saved the University from wasting up to 80 hours – that’s the equivalent of two weeks for a full-time employee. Continue to be vigilant, and if you’re receiving frequent calls to your UW work phone or fax that are clearly spam, email help@uw.edu with the subject line “spam call.” Include your phone number and the phone number of the scam caller. Phone calls that are harassing or threatening should be reported to the police. Universities across the country are increasingly being targeted by phone scams, matching a skyrocketing trend of junk calls to home landlines and mobile phones. Illegal and spoofed robocalls are the top consumer complaint, according to the Federal Communications Commission (FCC). It’s a problem the industry recognizes, but it’s not easy to solve, because the phone industry has not traditionally offered the type of protective, automated filters and firewalls common in email, networks and on computers, said Tyler Preder, a unified communications engineer in UW-IT who worked on the new technology. Only a few niche companies currently offer call-blocking technology, and they typically charge upwards of $50,000 to $100,000 a year. The new system developed by UW-IT is much less expensive and highly effective. It uses algorithms to dynamically block junk calls, by analyzing phone records for patterns of unwanted calls. For example, if multiple calls come from the same number under 12 seconds in duration, those get flagged as possible spam. The new application blocks an average of 10 to 12 percent, and those include calls that spoof legitimate University phone numbers. This amounts to an average of 1,500 spam calls a day. Still, Mack and his team hope to keep improving the technology. Other universities are starting to contact the UW about the solution to see if it can help them too. Preder plans to talk with other telecommunications engineers at an upcoming national meeting.